Enjoy a streak free shine or all your glass and mirrors with this easy DIY Streak Free Glass Cleaner. 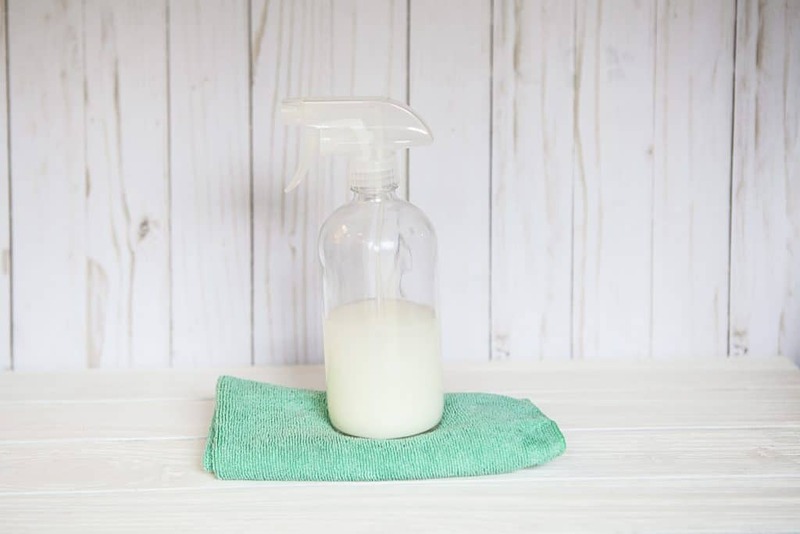 This DIY Glass cleaner is an easy way to keep your windows clean without having to worry about the chemicals in store bought cleaners. 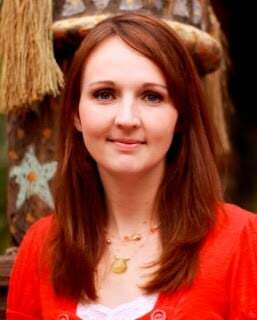 With kids in the home, we put a lot of faith in companies to make us product that doesn’t have harmful chemicals and are safe for our children. All too often, we hear about companies that we think are save having unsafe chemicals in their products. 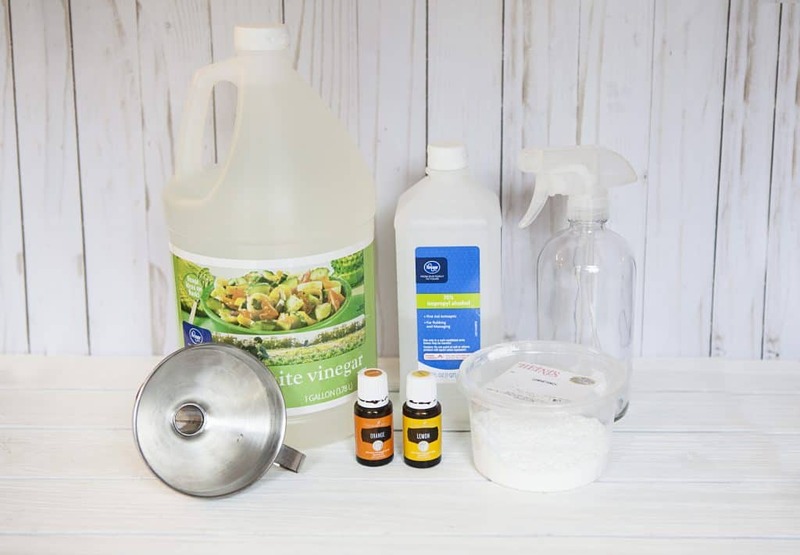 I love making homemade cleaners because then I know exactly what is in the cleaner and I don’t have to worry about my kids using it. This Streak Free Glass Cleaner works amazing at getting you a streak free shine but it also smells great with the addition of essential oils. After you get your sparkly cleaner glass shower door, you can enjoy a shower with our shower melts. You might also like our Homemade Bug Spray. 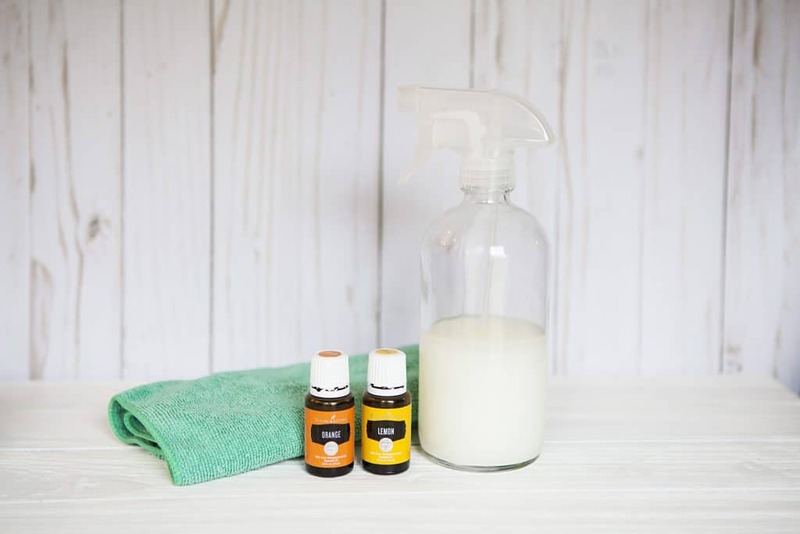 Do I need to make my Glass Cleaner with Essential Oils? 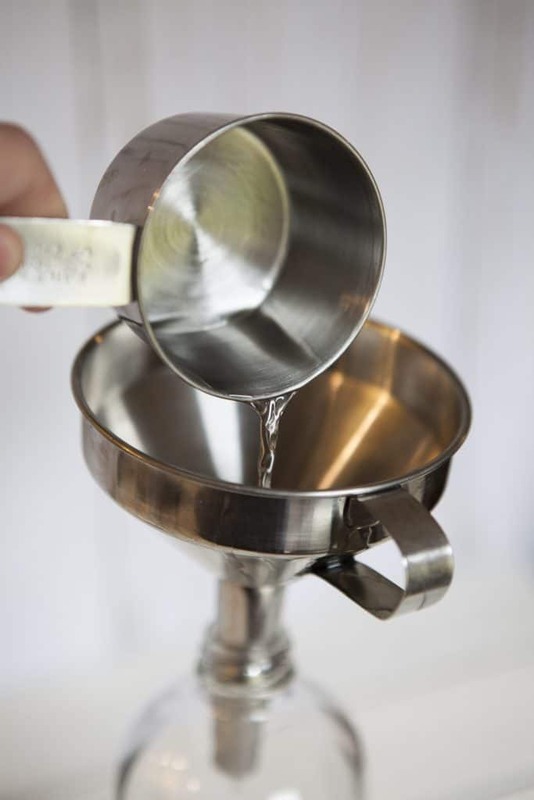 Essential oils are optional, but personally I love the smell that they give to homemade cleaner. 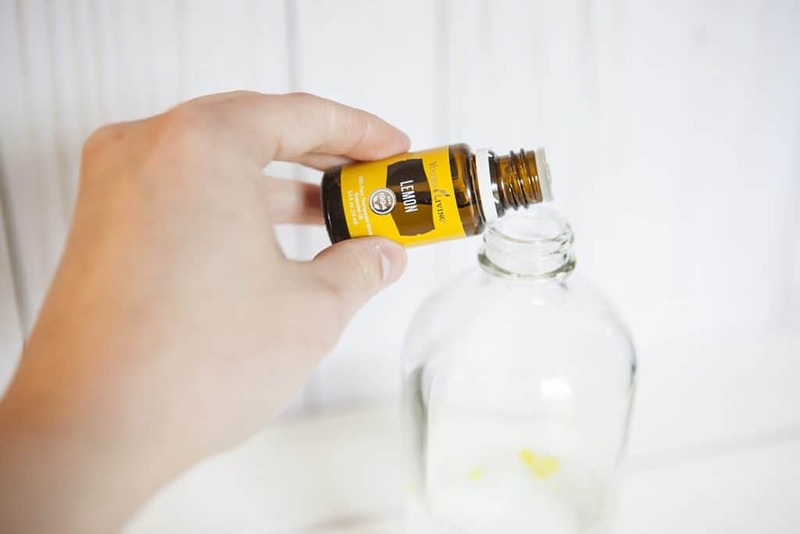 The citrus essential oil smell gives off an aroma of being freshly cleaned and makes this diy cleaner smell great. Where it isn’t mandatory, it is recommended since the smell of vinegar and rubbing alcohol isn’t the best! Fill glass bottle with Ingredients. Shake well before each use for a streak free shine or all your glass and mirrors! Enjoy your streak free clean house! Note: I recommend using microfiber cloths when I clean. I find that they are soft and non-abrasive as to not scratch paints other surfaces. The best part, is they are SUPER cheap on amazon so you have a big stash for whenever you need them.